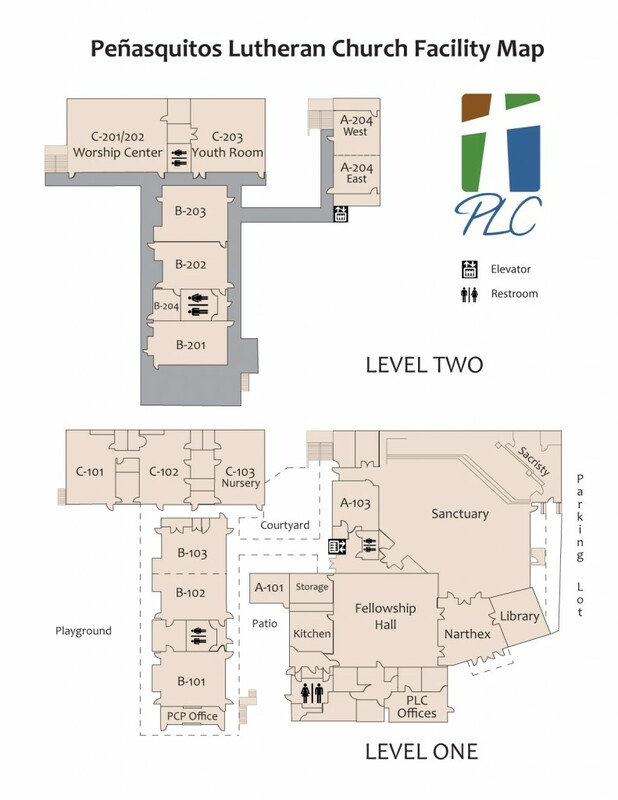 The PLC campus, located in north inland San Diego, is an extremely busy place! It hosts a variety of organizations and activities besides the church itself, including Boy Scouts, support groups, a Vacation Bible School and Christian Musical Enrichment Theater (C-MENT). It’s also home to the Peñasquitos Christian Preschool. In addition to the worship sanctuary, fellowship hall and classrooms, there are a variety of other rooms serving these and many other needs. It’s not unusual for every single room on campus to be occupied by one group or another. If you need to schedule any PLC activity on the campus, contact the main office. A kiosk located in front of the main entrance to the sanctuary has the current day’s schedule and room assignments. PLC’s online calendar also has dates, times and locations.